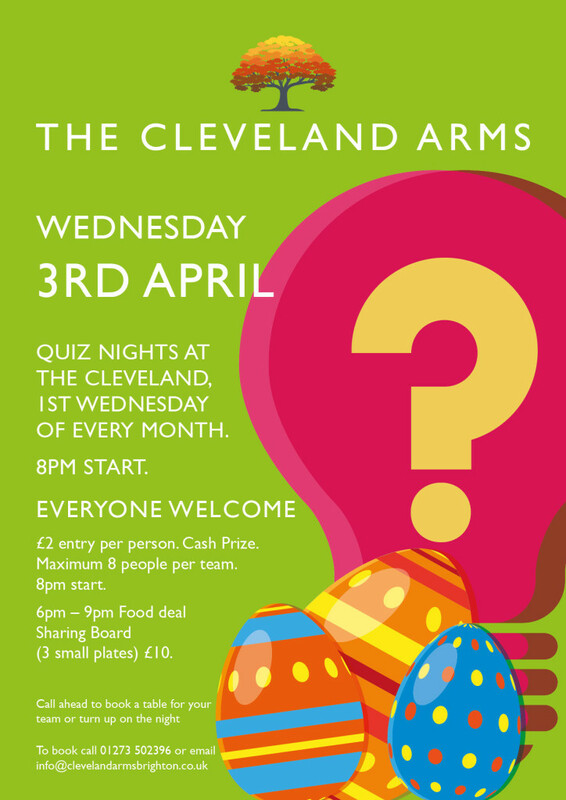 On the 1st Wednesday of every month we host our quiz night at The Cleveland Arms. Quiz starts at 8pm, with a maximum of 8 people per team. £2 entry per person and a cash prize to be won! Sharing board food deals available beforehand between 6pm - 9pm too. Call ahead to book a table for your team or turn up on the night.